Time flies! It's apparently already five years ago that the first album by this trio was released, call it the "black" album. 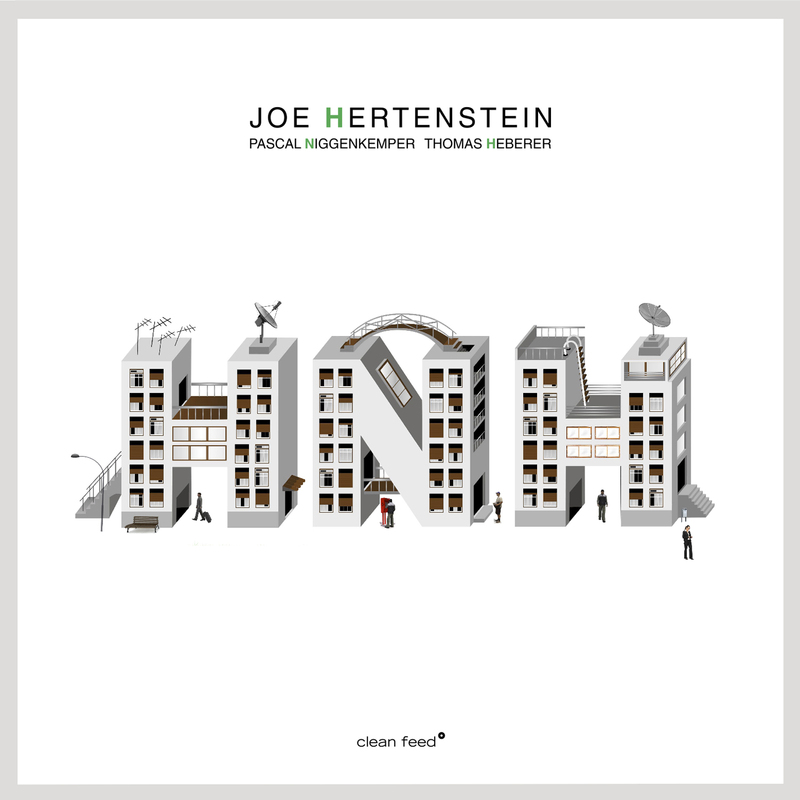 Now we get the "white" album, with the same title "HNH", performed by Joe Hertenstein on percussion, Pascal Niggenkemper on bass and Thomas Heberer on trumpet. In the meantime these three German musicians residing in New York, are known and we have reviewed more than a few of their albums, often in a variety of line-ups, and it makes us happy to find them again now in this trio format. Hertenstein is the leader of the trio, and his drums and accessories play a key role in how the pieces sound. His playing can be thunderous or subtle, rhythmic or implicit, inventive or rock-ish, straightforward or played on multiple little objects, he drives the trio forward through the composed improvised pieces. 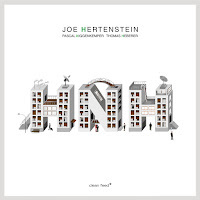 Heberer's tone on his microtonal trumpet is fabulous as usual, often crystal clear, sometimes unvoiced with lips that trouble the mouthpiece, or beyond. Niggenkemper is also in a category of his own, also varying between straightforward pizzi to the more complex uses of props to alter the sound of his bass. They play together in the best possible sense of the word. Enjoying every second of their interplay, which is incredibly tight in terms of overall sound and common approach, yet also open to challenges by the other two and open to surprises that may occur underway. The music itself is abstract in nature, with recognisable themes emerging from the improvisations and the open interaction. The tone can be very serious and dark, sad at times, but not always, because the playfulness of the interaction often pierces through this like sunrays on a cloudy day. Within most pieces, the atmosphere can shift between quietness and ferocious intensity, between solemn moments and unusual surprises, between familiarity and the bizarre, it is sketchy but it sounds full. Most of the time it's hard to follow the logic of their playing, yet that's part of the fun, and it works perfectly.